It's sad to say, but I think I have become addicted to wallpaper. I flick through catalogues and websites, cooing over any pattern that has caught my eye...I have concluded that I am obsessed by it (alas this also happens with bedding!). 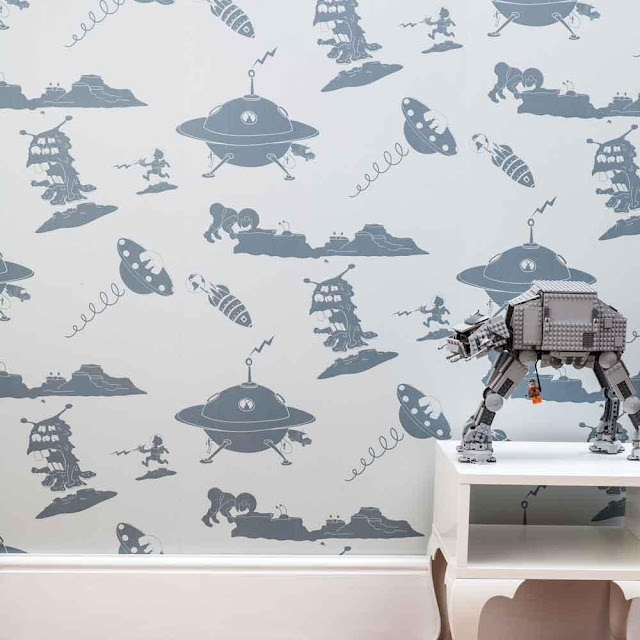 I have decided to put a selection of fantastic kids wallpapers together for those looking more for design inspiration (at various prices) than at the typical helpings available. 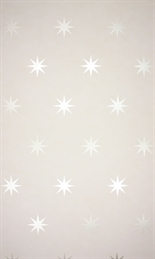 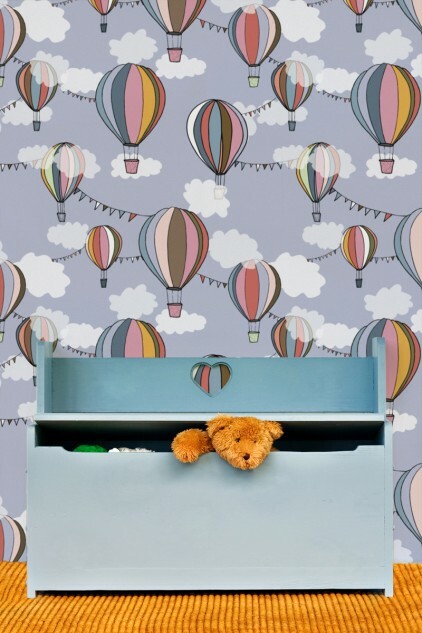 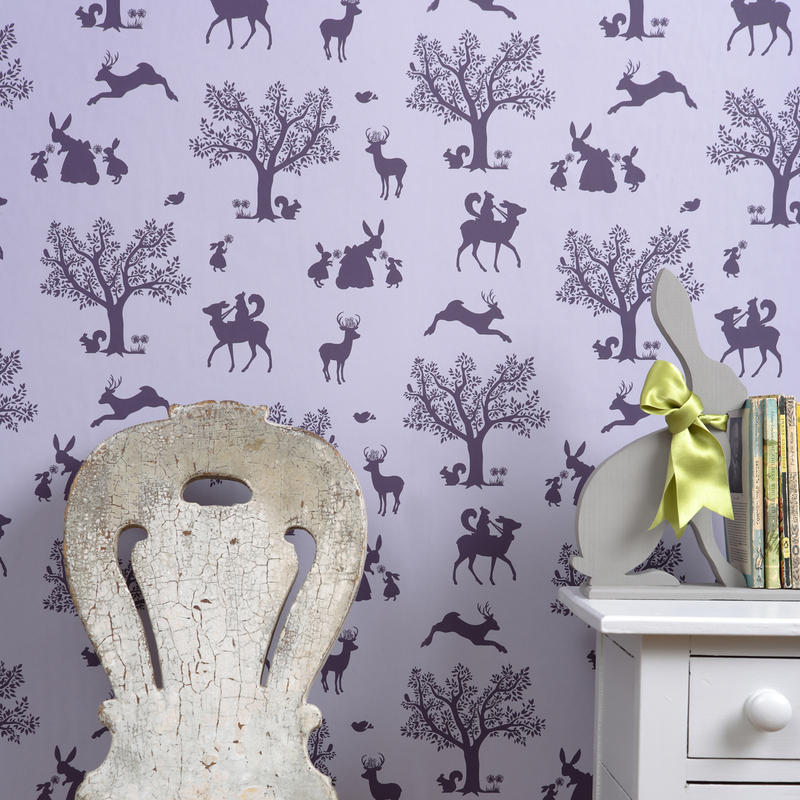 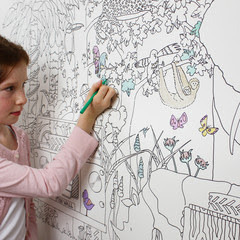 We have selected our favourite at Willow and Me, the Penguin Wallpaper by Isak .... too cute!! 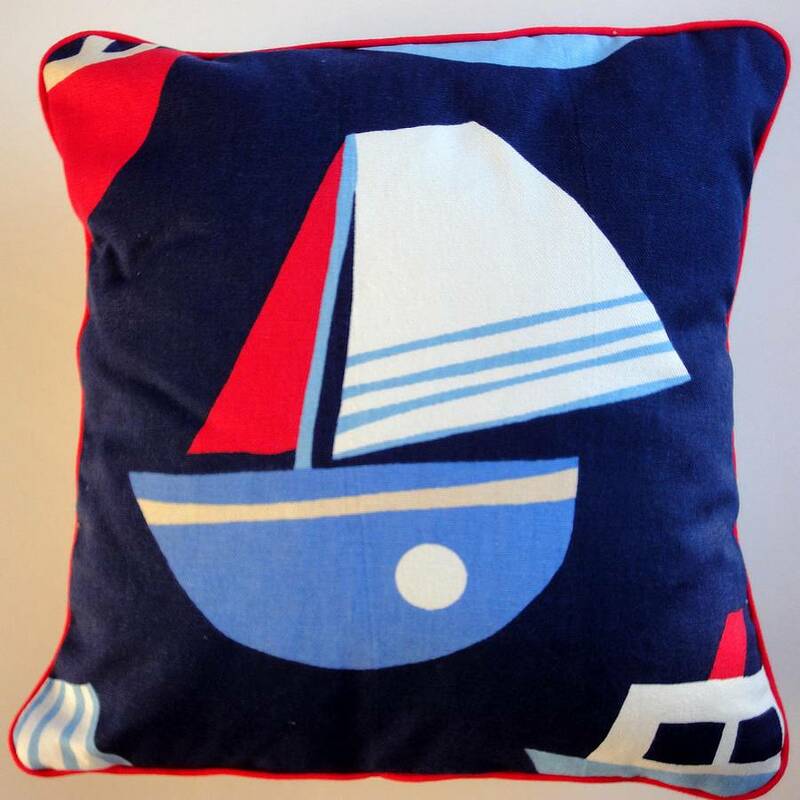 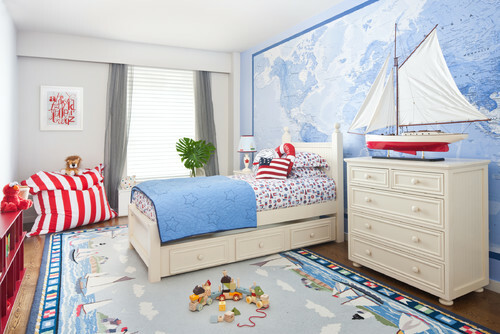 Seeing the snatches of the warmer weather has us at Willow and Me nearly reaching for the suncream and with thoughts of going to the beach, we have opted to look at nautical styles for children's bedrooms. 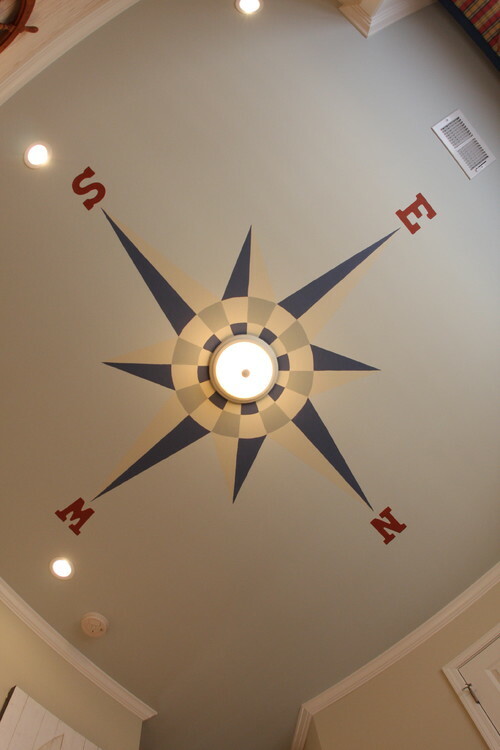 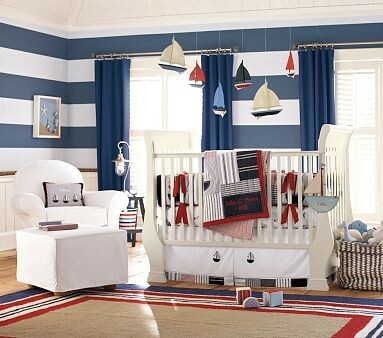 To achieve the nautical and seaside children's bedroom theme, traditional colour palettes of navy, white and red are popular choices. 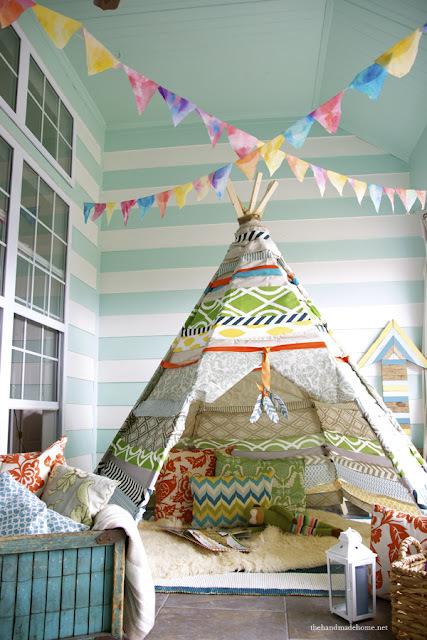 If you are seeking to add an alternative spin on these colours, try using either aqua, greens or oranges mixed with the traditional colour palette. 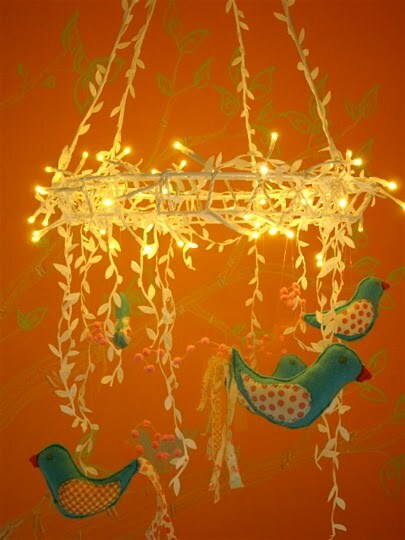 It will freshen up the room and give it a lovely modern edge. 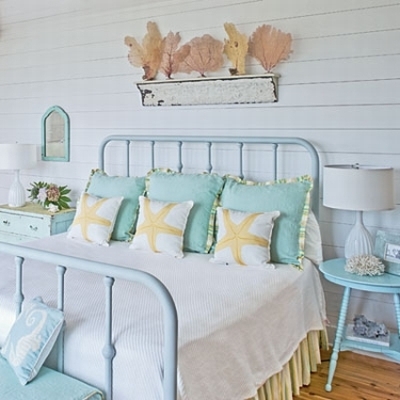 Alternatively using soft greys, duck egg blue or aqua teamed with white will give the room a softer appearance. Be creative, use shells or pebbles collected at the beach, porthole mirrors, woven baskets, stripey storage bags and boat themed accessories to add to the seaside theme. 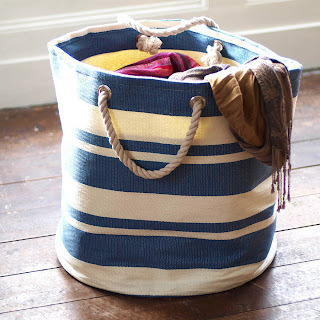 Stripey rugs have a wonderful effect, especially on wooden floors. 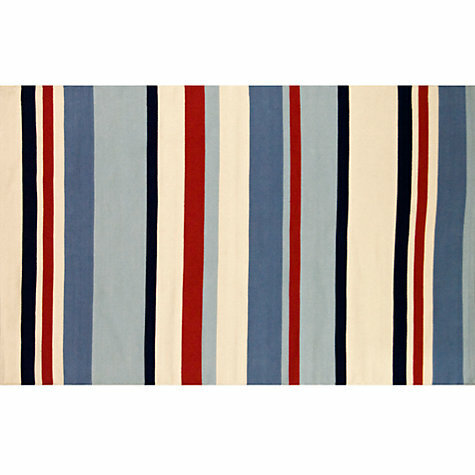 John Lewis 'Ahoy There' stripey rug is a perfect accessory to create the nautical style. 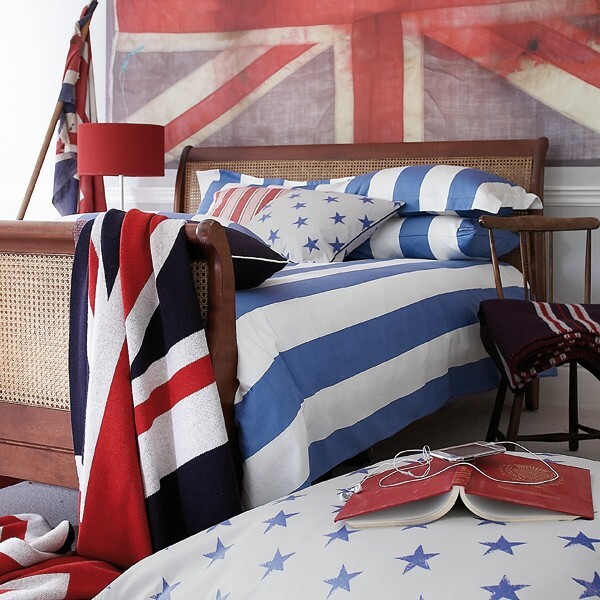 Stripey bedding works really well too. 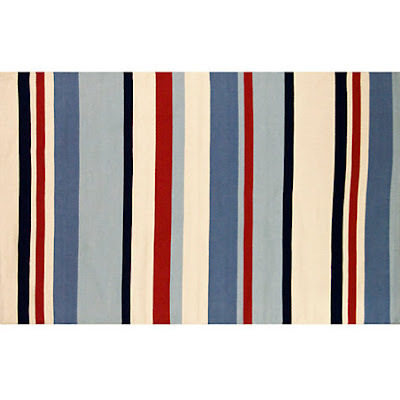 Runaway Coast do some fabulous stripes in the traditional blue, white colour palettes with lovely greys or pinks as alternatives. 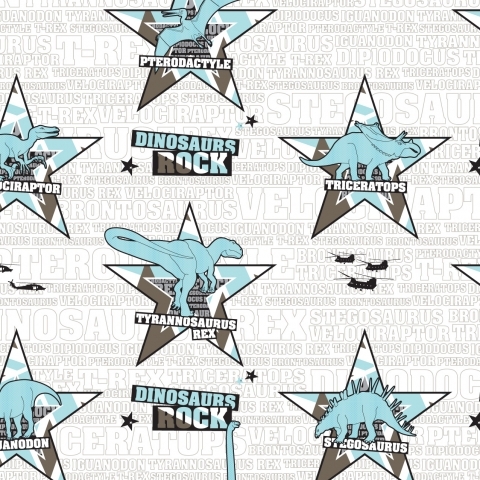 We have gathered together a few images to give you some idea of what can be created. 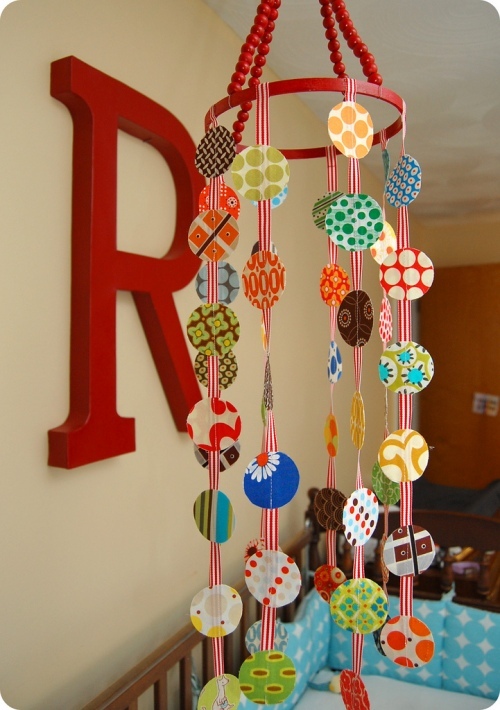 We love finding great ideas and we stumbled upon this fantastic little project to make your own no-sew (my favourite words!) tipi by the handmade home blog. 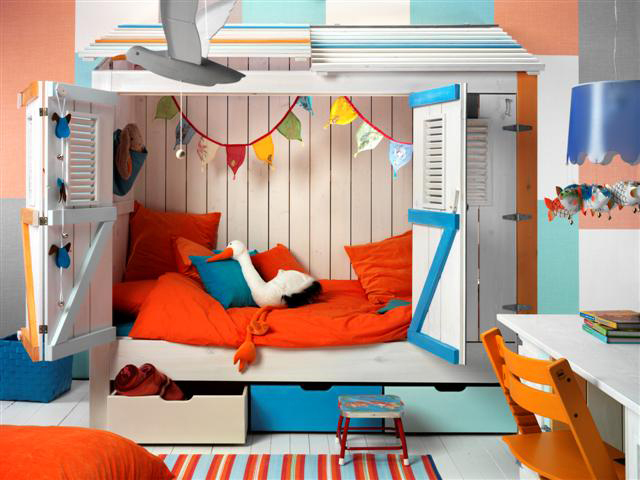 A perfect den for reading or to put up in the garden when the sun is shining. 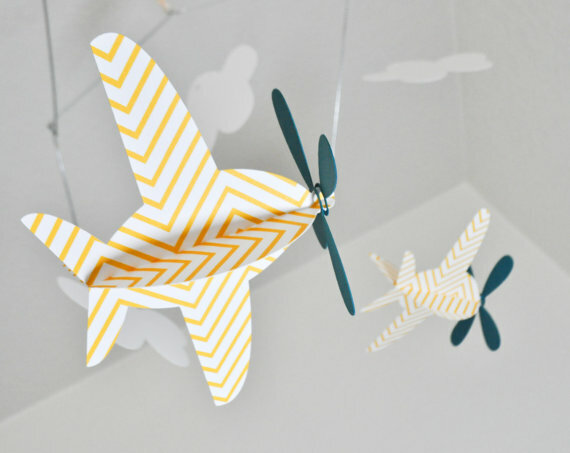 Great for your little ones although I am thinking I may need to make one for myself! 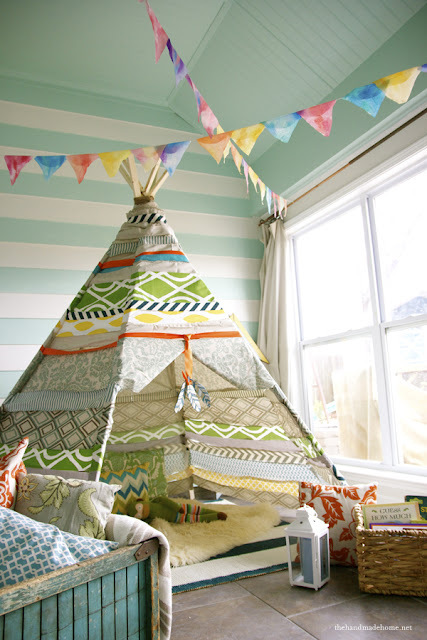 Fill with cushions and blankets and hang up fairy lights to make it perfect. 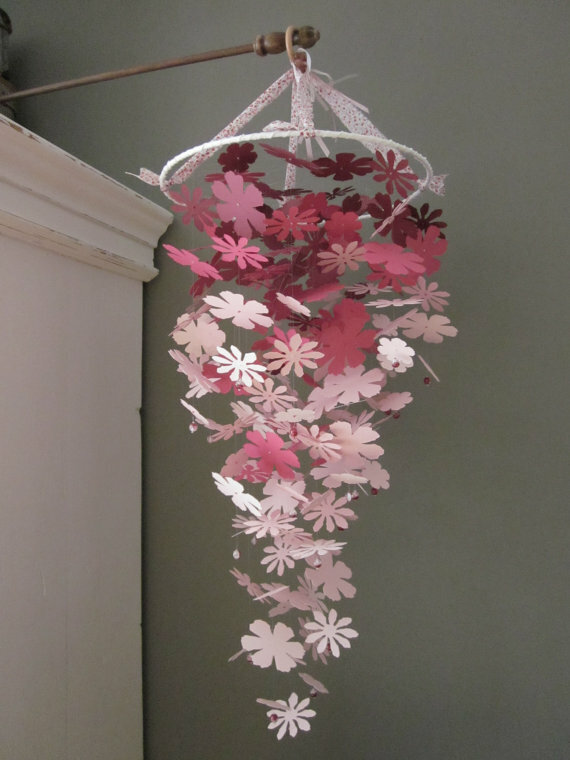 The Nursery Mobile is definitely not the same as it used to be. 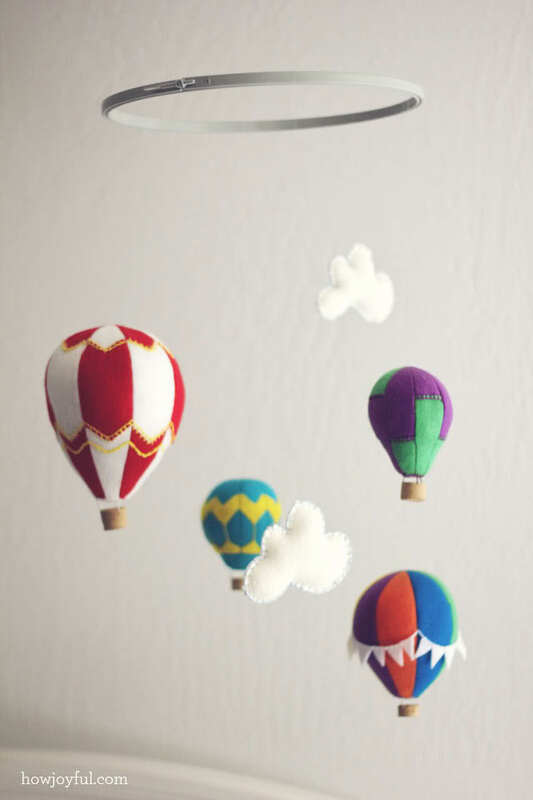 Sweet little characters dangling above the cot seem to have been surpassed by these beautiful creations. 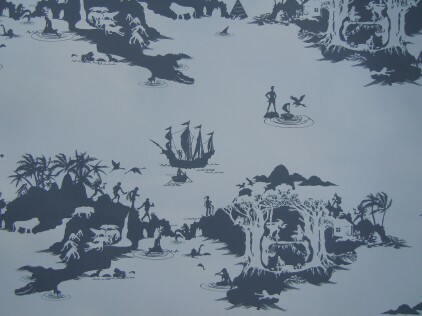 Have a look and be inspired by the ones below. 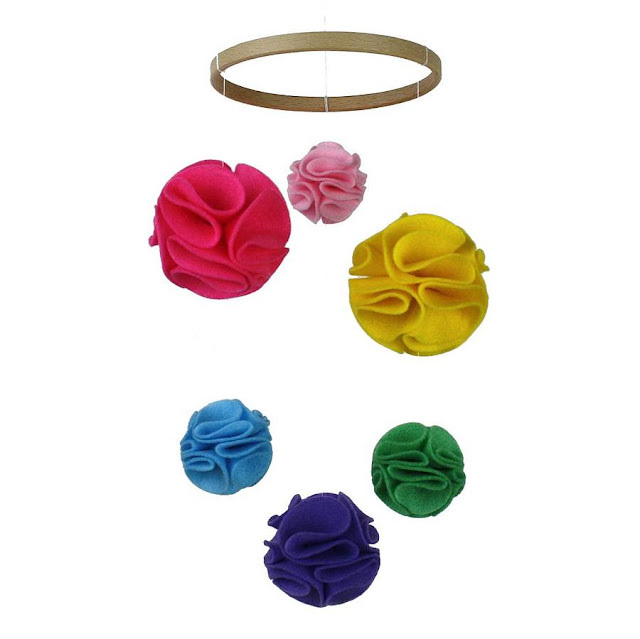 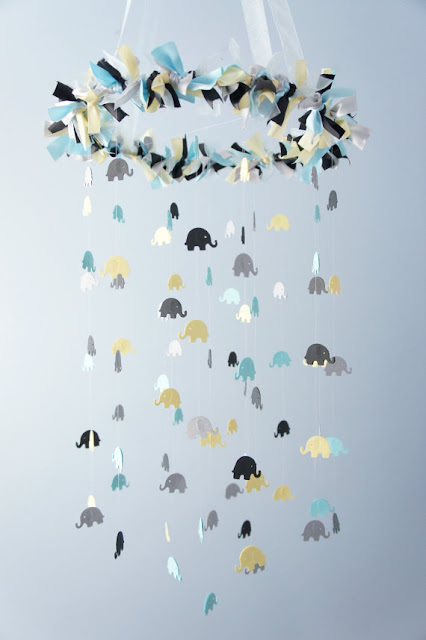 I have also added a few D.I.Y nursery mobiles for those who feel creative and brave enough to attempt. 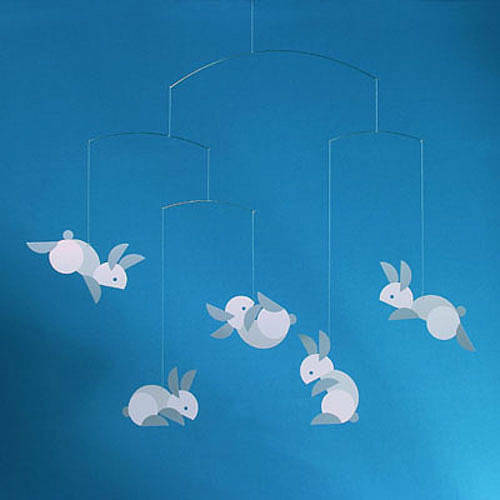 The following nursery mobiles are all D.I.Y creations. I have included these with a link to their webpage so you can follow the tuturiol. Today, we are featuring our Union Jack and Jill Cot Bed Red Plane Junior bedding. 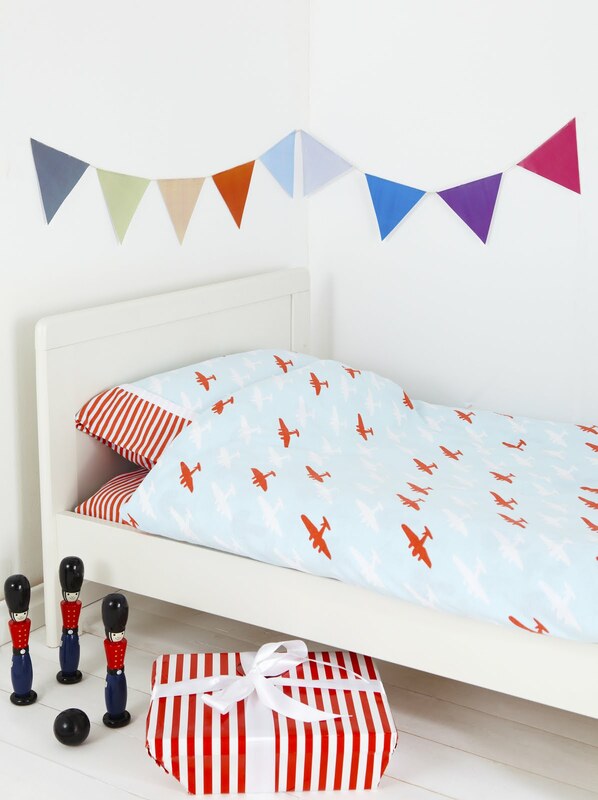 This toddler duvet cover comes with planes in lovely warm reds and whites. 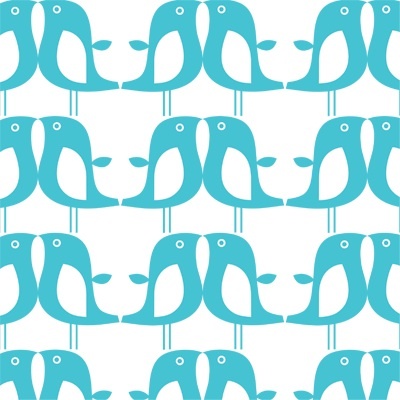 The contemporary aeroplane print is set against a pale blue background. 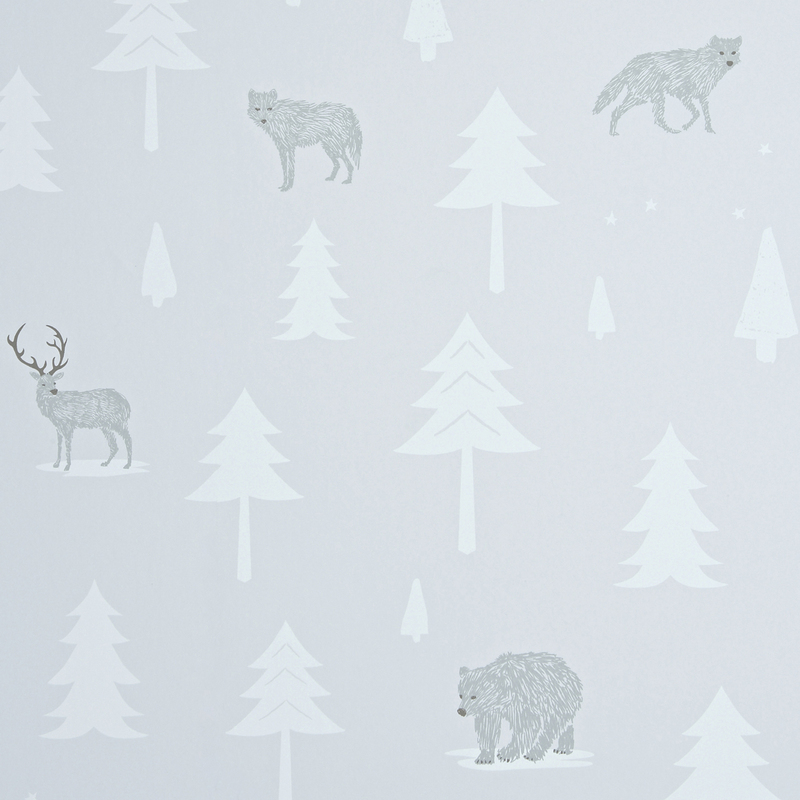 Made from 100% soft cotton it's also designed and printed in the UK.